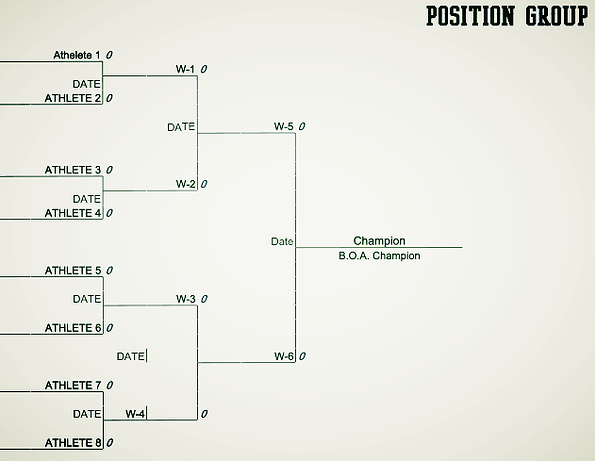 WHAT IS "BATTLE OF THE ATHLETE"? Battle of the Athlete is a competitive showcase of international talent of American football, with hopes of bringing awareness to aid in the growth of American football worldwide. If you are an European American football player that feel like you are the best at your position, then this is the place to showcase your talents and be entered in our first Battle of the Athlete competition! After the player wins the rounds of competition, they will be crowned HIGHLIGHT U's Battle Athlete champion and a prize consisting of gloves, football cleats, accessories and their very own custom Highlight tape! In addition to those prizes, you will also be inducted into the Touchdown Europe Hall of Fame! Athletes participating in Highlight U's Battle of the Athlete ​will be selected by a panel of credible American football imports, coaches and members of the Touchdown Europe Approved Hall of Fame. Players will be selected from several different countries. No more than 2 athletes of the same position group-- of the same country will be selected. Players will be selected based on overall skill level and athletic ability. Combine statistics such as 40 yard dash, bench press, vertical jump etc. are all great, but for this competition you will be selected solely on your talent and highlights. 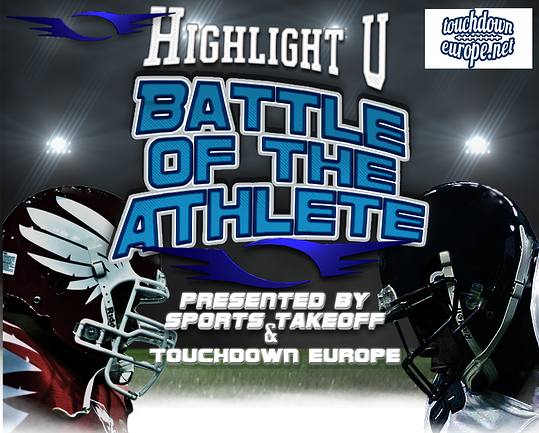 To be eligible for Highlight U: Battle of the Athlete presented by Sports Takeoff and Touchdown Europe, you must be at least 17 years of age and older. You must also be a native resident of any country apart of the EU with the exceptions of Australia, India and Brazil. And you must not have played college or any professional level football in the United States or Canada. You must submit your personal highlight tape that has at least 10 different plays. When submitting your videos in the video submission page, please provide your name, position and uniform number.